On this rainy, stormy day I thought it would be appropriate to share a couple of stories about Margaret and thunderstorms! Grandma Callie was afraid of storm of any kind. She instilled her fear in her three daughters, Nelda, Margaret and Mary Lou. When our mother had children she was determined to overcome her own fear of storms so that her children would not be afraid. She told us lightning and thunder were like 4th of July fireworks. We believed her and to this day we all love a good storm. Whenever Grandma Callie was visiting and it was storming, she would have a fit because we three kids would huddle under a blanket behind the swing on the porch to watch the lightning. 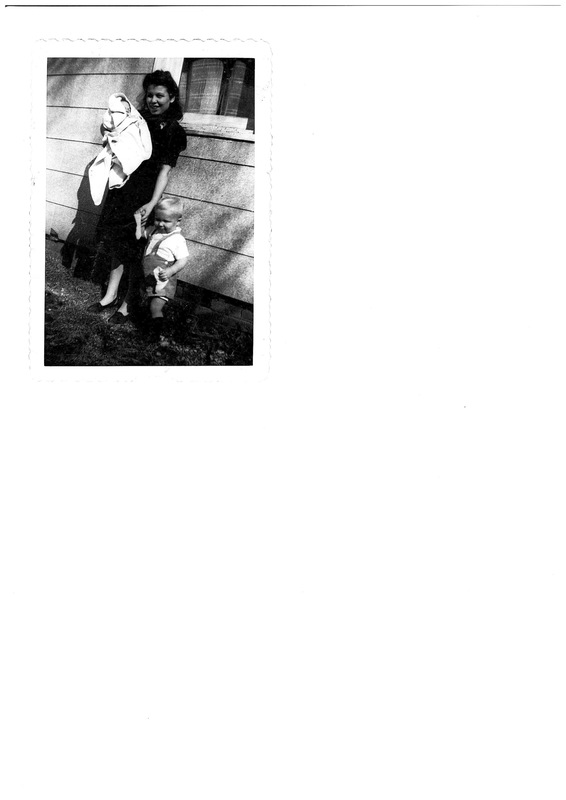 When the three of us kids were relatively young, 7 or 8 for me, 28 or 29 for my mother we lived in a house that had a front porch. That summer we got a refrigerator box (maybe a refrigerator!). The box opened in the front. Being kids we took the box, turned the open side down, cut some small windows in the sides and considered it a house. One day a big thunder storm was approaching fast. We told our mother we were going to watch the storm from inside the box. As it started to blow and rain, the end of the box came up and my mother crawled in. She wanted to see the storm too. My mother liked storms and passed that on to her kids. Today I did my training miles on a treadmill…boo…no fun, but got ‘er done! I do not enjoy a good thunderstorm and, as I ran, thought about how much fun Margaret might have had teaching me to appreciate the thunder and lightening! As always, here’s a link to my Team in Training page http://pages.teamintraining.org/rm/denver15/4margaret and the page for the team I just joined http://pages.teamintraining.org/rm/denver15/babymelina Read Melina’s story!! I’m still running in honor of Margaret-and am also honored to help this team meet their goal of raising $100,000! It’s a win-win. Ok. To wrap up- Here is a picture of a beautiful young Margaret along with Dave and Larry, I believe! I love it! !